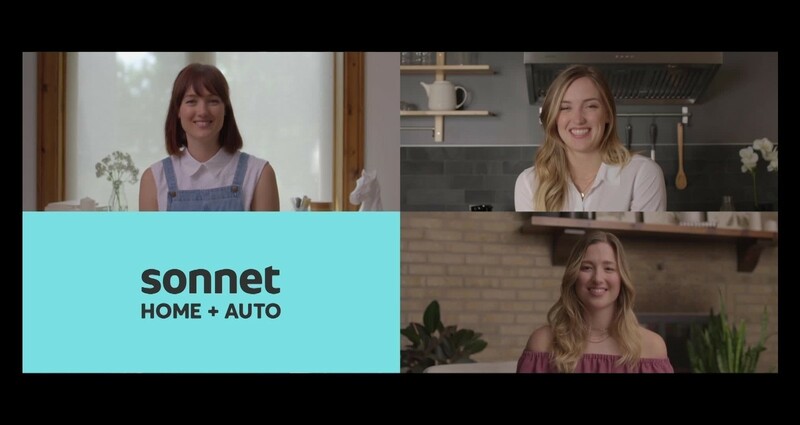 Sonnet has partnered with three world-renowned sisters: Justine, Chloé and Maxime Dufour-Lapointe (3SDL) to win the hearts of Quebeckers. The three sisters answer the same questions simultaneously and complete the answer of their sisters. Optimism is the "mantra" of Justine, Chloé and Maxime Dufour-Lapointe and Sonnet is proud to introduce girls in "The eye of the camera". We needed to develop a dynamic, positive, entertaining and engaging content marketing strategy with videos of the DL Sisters. The objective was to establish a bond of trust and credibility with the target by partnering with Quebec athletes to acquire market share in Quebec with a customer-centric approach. We needed to create two videos for four different themes in English and in French for a grand total of sixteen videos and we only had a day to shoot. We also had to include a photoshoot within the shoot.